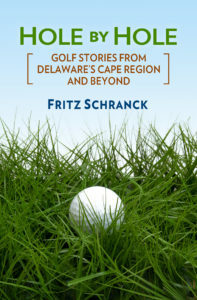 Last week began a two-part series looking at the process of creating a golf course/residential community in the Cape Region. This week continues the first segment, relating to one major hurdle facing developers—the traffic impact study (TIS). Stonewater Creek is a 280-acre proposal west of Five Points and east of Cool Spring. As originally discussed with DelDOT, the project included 360 single and multi-family homes, as well as an 18-hole golf course. Dennis Hughes and other DelDOT staff met with Dawn Riggi and others from Davis, Bowen & Friedel (DBF) in October 2000. They discussed the required elements for the traffic analysis. They first reviewed whether DelDOT had any new construction plans in the project area. DelDOT’s long range transportation plan designates this part of the Cape Region as a Preservation Investment Area, where no road improvements are planned. Therefore, any changes in the highway system needed to support Stonewater would be the developer’s responsibility. They next agreed upon the TIS time frames, both for weekday peak hours and the busy summer Saturday mid-day peak. Stonewater was to be completely built out by 2005. Therefore, the traffic study had to consider at least three conditions for each set of peak hours—the existing traffic, the traffic in 2005 without Stonewater, and the traffic in 2005 with Stonewater completely finished. Stonewater’s location made determining the intersections to be analyzed more difficult than other projects. DelDOT first told DBF to study 17 intersections, including Five Points, several along U.S. Route 9, and one at State Route 5 (Indian Mission Road). DBF later convinced DelDOT to reduce the number to 14, but the TIS would still be complicated. For one thing, the engineers also had to agree on how the traffic would be distributed among all the various routes. The other committed developments in the Cape Region, currently undeveloped but which would be in place by 2005, were also added to the analytical mix. These other projects included the Villages of Five Points, the Knapp development, and new Home Depot. On the other hand, DBF could use the traffic counts performed for those projects, and thus maintain some uniformity in the study results. Riggi worked on the traffic study over the next several months. She and Hughes negotiated the traffic count results, made seasonal adjustments, and made sure that the accepted data from other studies fit with the new analysis. Meanwhile, the developer moved forward with other requirements. On May 10, 2001 Lewes Golf L.L.C. filed a Service Level Evaluation Request with Sussex County. They kept the 18-hole golf course, but added 90 dwellings to their plans. The TIS now had to calculate the impact of the increase to 450 units. On June 7, 2001, DBF delivered the final TIS, totaling well over 600 pages. Hughes needed time to analyze the massive report. “It took me close to a month just to do the review,” he said recently. The DBF study confirmed DelDOT’s suspicions, and the news wasn’t good for Stonewater’s developers. Many intersections already operated at deteriorated levels of service, and some would worsen if the project were built. The project would add to congestion in the study area, and is inconsistent with our [long range transportation plan] and our understanding of the [state cabinet committee’s] Strategies for State Policies and Spending. For these reasons, we oppose the subject rezoning. The problem wasn’t the golf course. At most, the amenity would add 83 vehicles per hour to Cape Region traffic. The 450 dwelling units, combined with existing traffic and the previously committed developments, caused enough impact to produce DelDOT’s recommendation. At this point, the developers have not filed a preliminary plan with Sussex County to take the project to the next step.